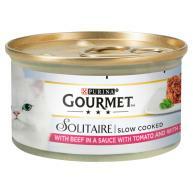 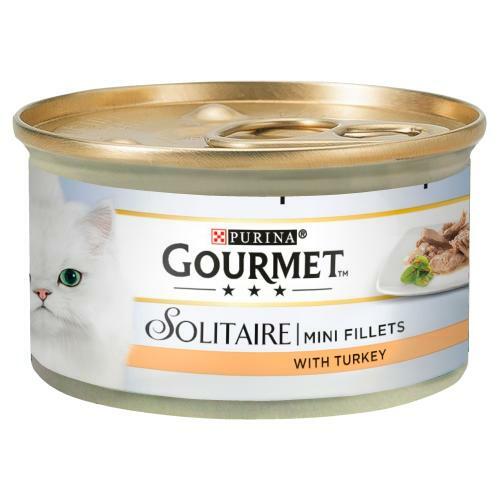 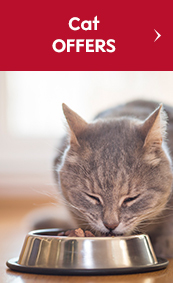 Gourmet Solitaire is an elegant recipe prepared with mini turkey fillets for a delectable & nutritionally balanced cat food, even the most highly refined feline will it find utterly irresistible! 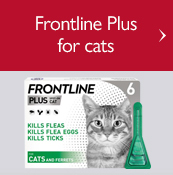 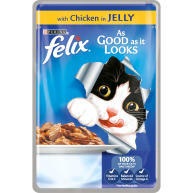 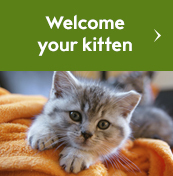 Treat your pampered puss every day with these sumptuously moist morsels of prime meat, finely cut into fillets & cooked in an exquisite, rich sauce for a meal to exceed the expectations of the most discerning cat connoisseur! 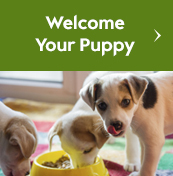 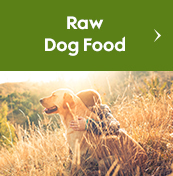 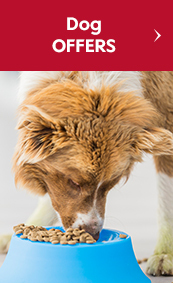 What’s more each tin of this complete pet food, individually portioned to ensure every meal is deliciously fresh, provides total nourishment to keep your furry sophisticate feeling & looking fantastic. 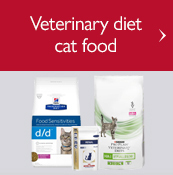 Ingredients: Meat and animal derivatives (of which turkey min 4%), vegetable protein extracts, fish and fish derivatives, minerals, various sugars.